What can I do ? 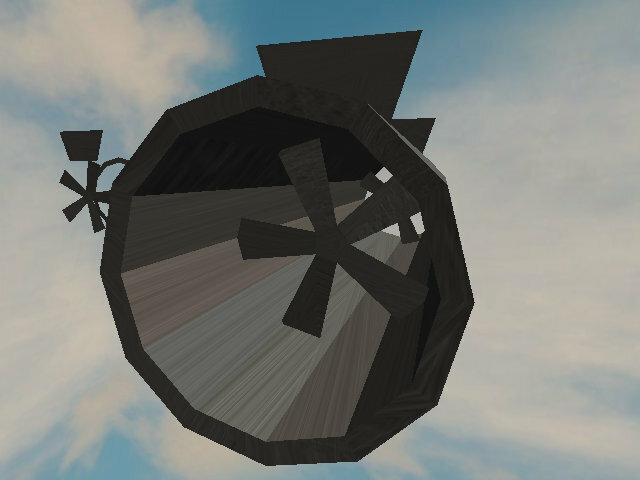 This model include custom "unrwap UVW" or something like that, that allow me to place textures as i want. How to make understand to maniadrive pieces to "read" them by that way ? Your exported model shows colors, so textures seems here and it's probably a matter of UV coords. Can you post you ".tri" model somewhere so we can check ? Have you tried some other UV mapping "options" in 3DS before exporting (if anything like that exists in 3DS) ? I know nothing about 3DS, but I would say that there's definitely something wrong with the UV mapping. I kooked at your tri file, and textures are defined AND loaded correctly (I only had to replace your textures with random ones). But UV coords are only defined for your first object (metl_2) and the beginning of the second one (metl_1). - Have you done something about UV on your metl_2 object that you haven't done on others ? - Do you have only one "material/texture" for each of your objects (dunno the correct terms for 3DS) ? - If there's no way to make this working, have you tried the "alternative" solution, with DirectX files ? (see links about this a few posts above) ? No, I proceded to same method for each of models ! Yes, only one for each object in the model.